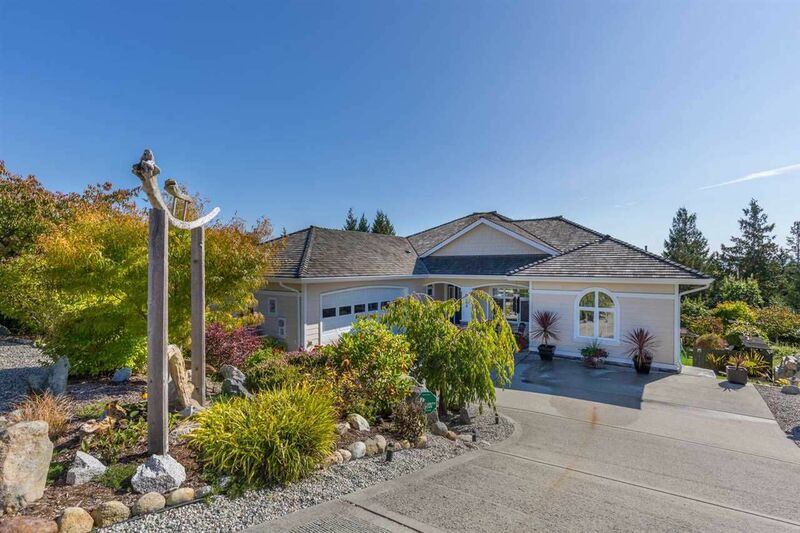 This beautiful view home features 4 bedroom and 4 bathrooms and is located in the most sought after neighbourhood in West Sechelt. House has a well thought out design with the main living area having ground level entry. Wonderful southern exposure provides lots of natural light to enjoy the view from the upper deck or enjoy the Zen like gardens and pond from the extended outdoor patio downstairs. Lots of upgrades in the kitchen including silestone counters, deck/patio, awning on upper deck and built in blinds. Ask the listing Realtor for more details. Don't wait. This one may be gone quickly!